Home Law What Is Employment Law and Why Is It Important? 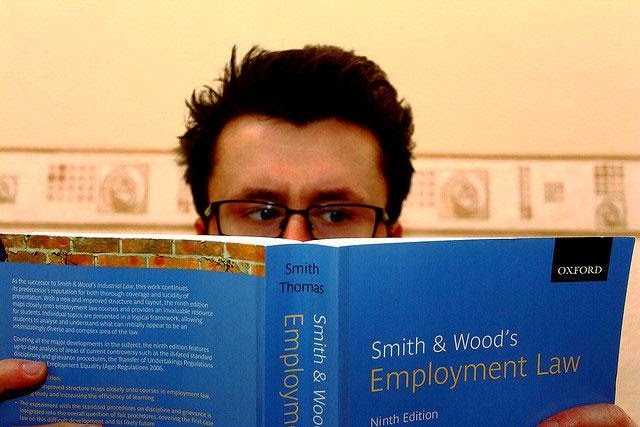 What Is Employment Law and Why Is It Important? Also known as labor law, employment law is the legal body that governs the relationship between the workers and the employers. Employers, employees, trade unions and the government collectively share the benefits and governance of the labor law. The employment law came into existence with the rise of the industrial revolution in Europe when workers sought better conditions while employers sought effective and cheap workforce. Abuse of rights is a possibility for both the employers and the employees in an organization and labor laws ensure the protection of both parties from any wrong done at either ends. Given below are some qualities of Employment Law that exemplify its importance in an economy. Operating in a master-servant relationship, several workers are subject to the unlawful abuse of power by the employers. Labor laws are important to make sure that the workers are able to work in a healthy and non-hostile working environment, which is free from any sort of racial, gender or age discrimination by the employers. Minimum/overtime wages, discrimination, employee leaves and workplace safety etc. are the different employee benefits that the labor laws govern. The labor laws or employment laws are not just aimed at the benefit of the workers, but are also important for the safety of the bosses of the organization from unjust demands from the employees and trade unions. It is an employer’s right to not hire someone who is not qualified for the appointed task and to expect the workers to perform their duties and show up on time to remain competitive in the market. The Employment laws do not disturb the employees’ right to compensation and the employer’s right to earn profit, but have made them even more streamlined and effective. The workers must be well compensated for their hard work which has resulted in the employer making huge profits. This ensures the economic stability and keeps checks on the inflation, especially during the times of an economic recession. Employment laws not only govern the employer and employee rights but also act as guidelines for work ethics across various organizations. The Environmental Protection Act, for example, regulates the violation of public policies by business organizations and safeguarding the employees. The employment laws ensure that the business owners must not only aim at making profits but must also be good corporate citizens. Like most laws, Employment laws reflect the social values that are imbibed in an economy. For example the laws against discrimination of workers reflect the social value that every human being should be treated equally irrespective of race, gender, or social stature. The laws that govern the abolishment and regulation of child labor preserve the right to education for a stronger economic growth. It is essential for both employees and employers that they understand the importance of labor and employment laws. Workers must be aware of their rights and should use them with utter discretion. Employers must ensure the safeguarding of the workers for a healthier and more productive work environment. In case of any disputes, lawyers and law agencies such as the Dan Ross Law Group can also be contacted for professional advice and information on labor laws. About the author: Luke Peters is the author of several law related blogs and spends most of his time reading books and articles about law and finance. He is also an avid fan of John Grisham.